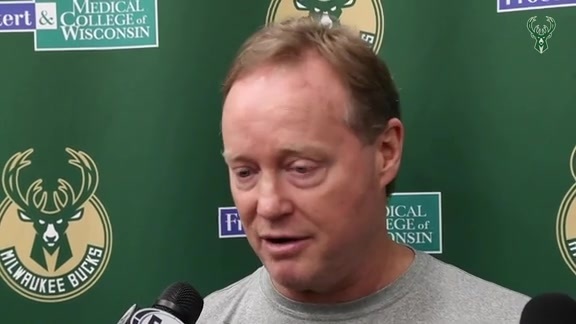 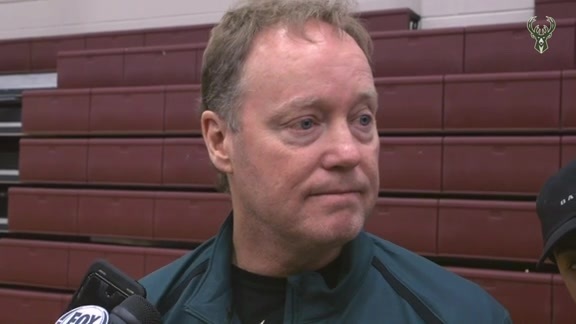 Coach Budenholzer speaks with the media following practice on Friday, April 19 at Froedtert & the Medical College of Wisconsin Sports Science Center. 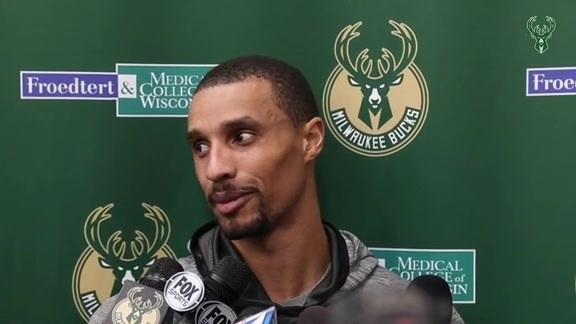 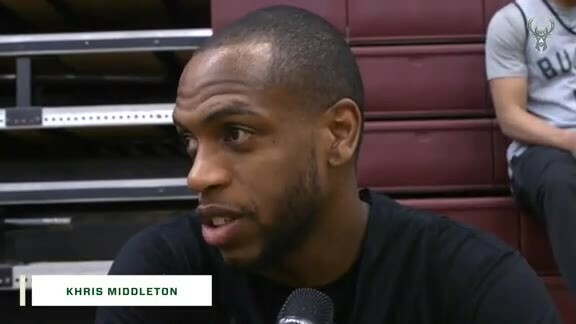 George Hill speaks with the media following practice on Friday, April 19 at Froedtert & the Medical College of Wisconsin Sports Science Center. 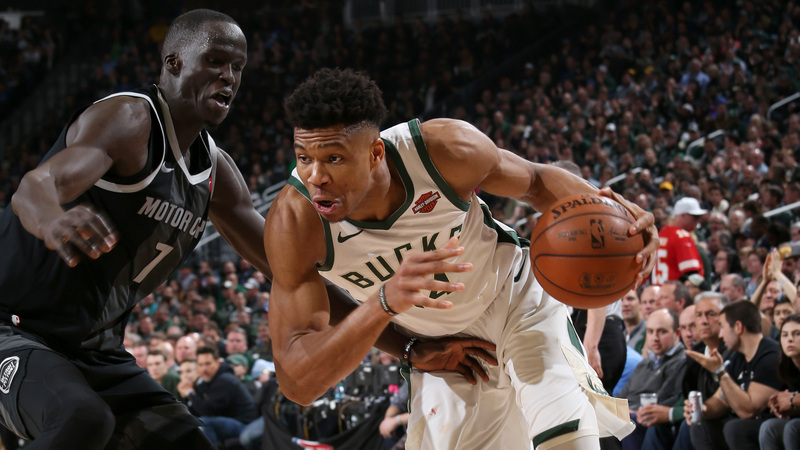 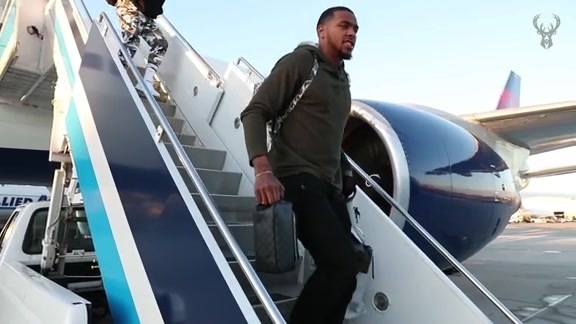 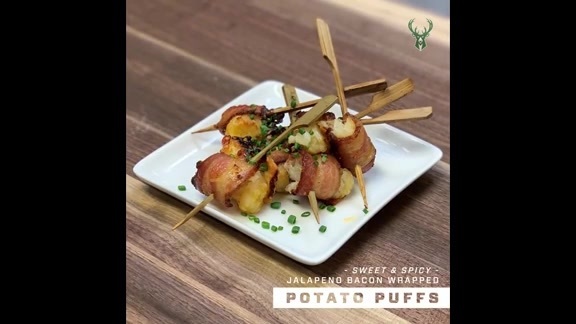 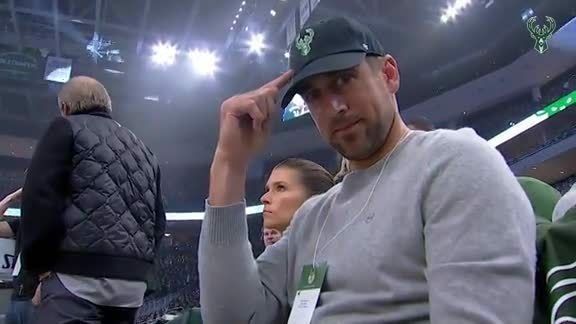 Bucks vs. Pistons Game 2 on FOX Sports Wisconsin was the highest rated Bucks game on the network since 2001, receiving a 12.8 household rating. 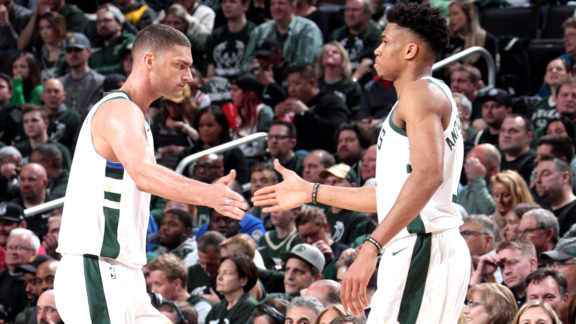 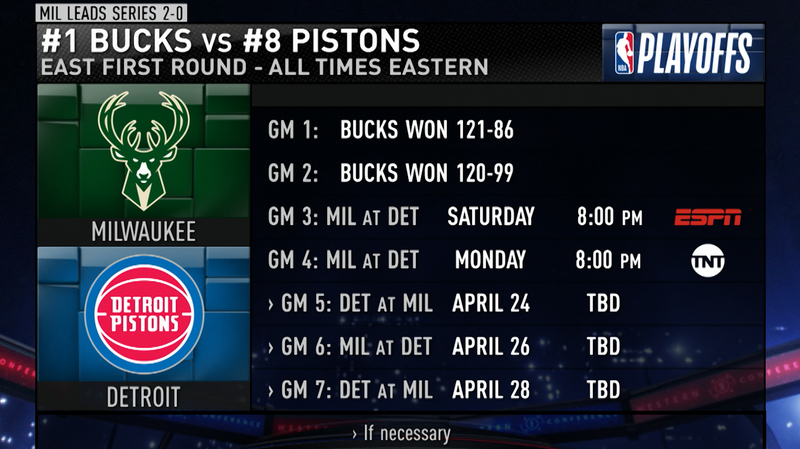 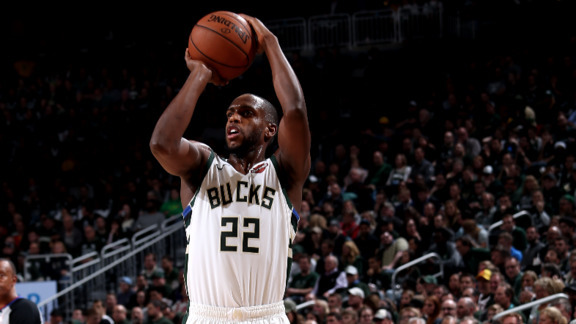 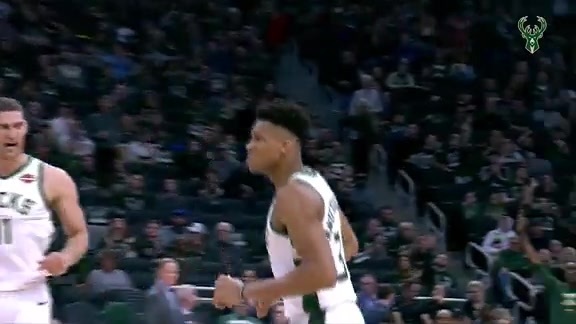 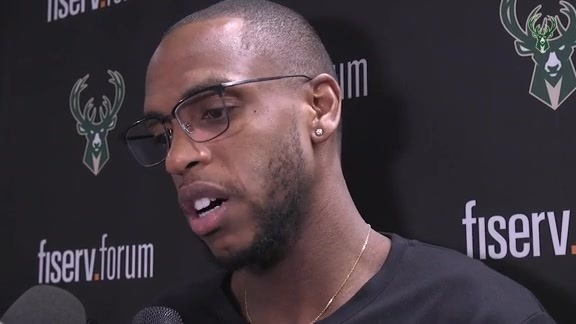 The Bucks and Pistons battled in Game 2 at Fiserv Forum and after a 35 point loss, Detroit took the lead at halftime before being out scored by 22 points in the second half by Milwaukee. 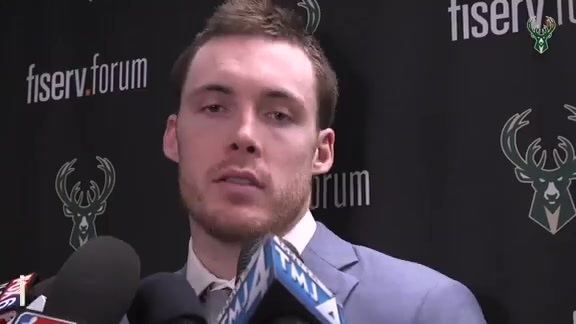 How Pat Connaughton's 18 points on 8/10 FG, 9 rebounds, 3 assists and career high 4 blocks gave the Bucks a boost off the bench in Game Two. 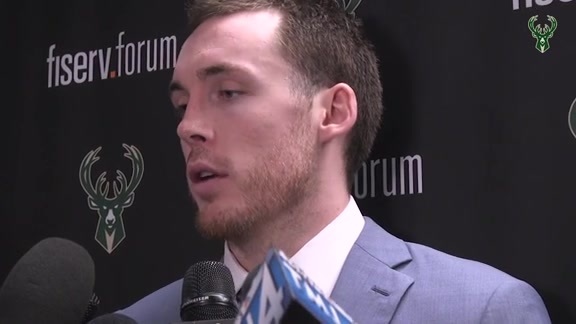 Pat Connaughton speaks to media following the Game 2 win. 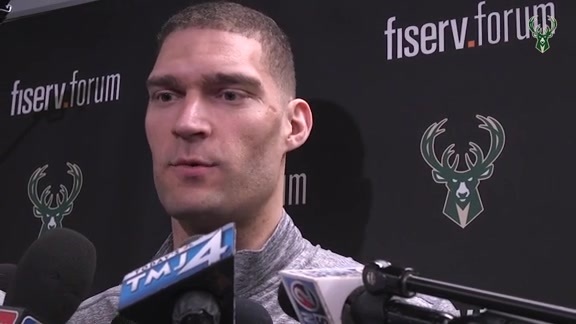 Brook Lopez speaks to media following the Game 2 win. 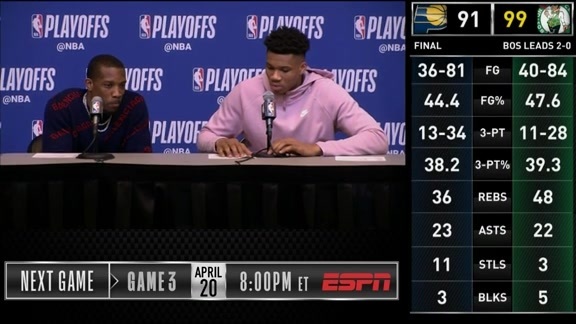 Giannis and Eric address the media following the 120-99 victory over Detroit. 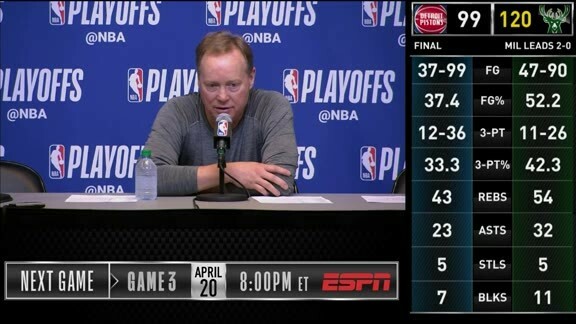 Coach Budenholzer speaks to the media following the Game 2 win. 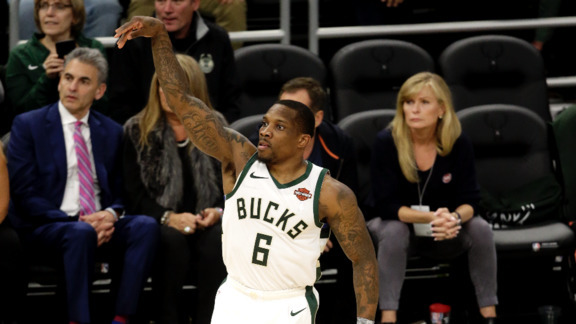 The Bledshow scored a game-high 27 points on 58% shooting. 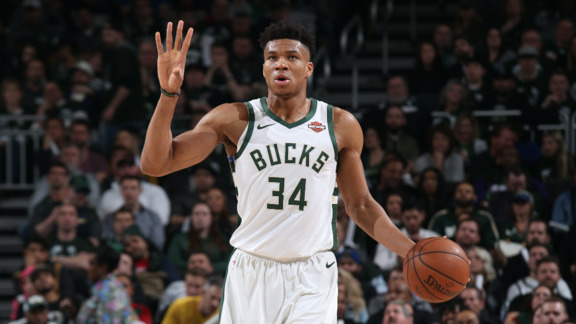 The MVP dropped 26 points and 12 rebounds in 30 minutes. 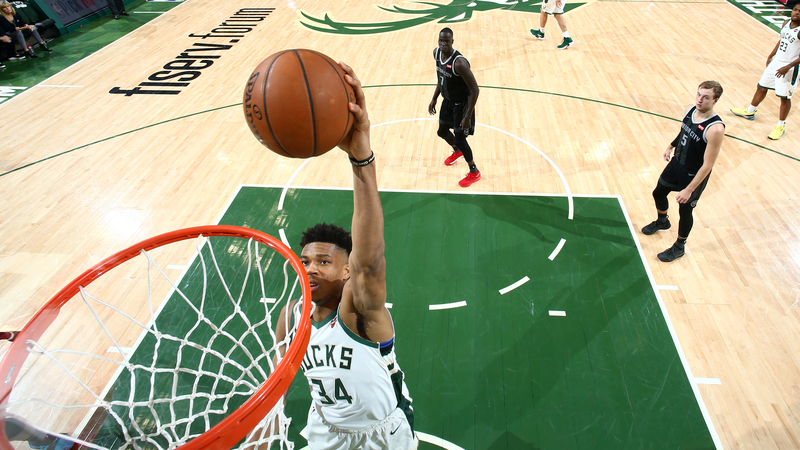 The best plays as the Bucks take a 2-0 series lead after the 120-99 win.